Let the children enjoy playing and using their Device without having to worry about damage and scratches. This children's Device case is the perfect companion for your Device Its shockproof high density EVA material technology foam will absorb drops and knocks keeping your Device in working condition. The foam is very durable and padded meaning it can be easily cleaned. With an easy grip handle, which can also double up as a stand perfect for typing, movies and games, the Device case for kids is perfect for keeping your Device safe at home and on the move. 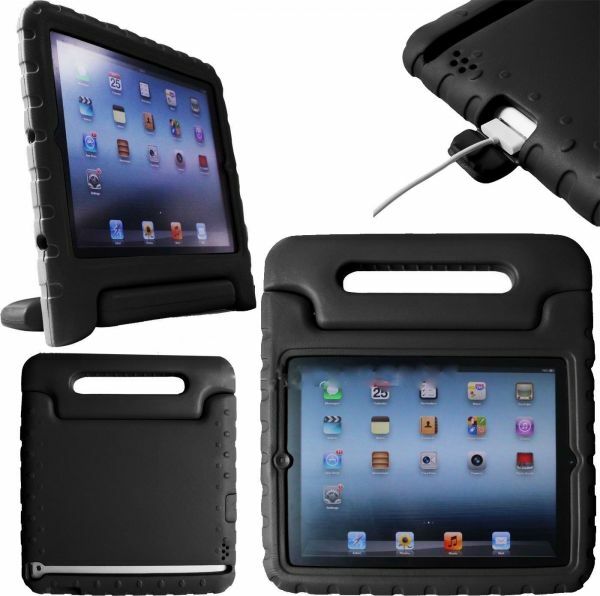 Made from high density EVA foam with rugged frame surface. Easy access to all ports and control buttons, no need to remove the case. Easy grip handle, perfect for transportation. Handle can act as a stand for landscape view, perfect for typing, movies and games. Compatible Model: Apple iPad 2 iPad 3 iPad 4.